Bosch Parade is a multidisciplinary show in the form of a parade floating by. Or rather, it is a parade in the form of a show with various smaller and larger artworks floating by on the Dommel River. Bosch Parade enables a wide audience to experience contemporary art inspired by the works and philosophy of Jheronimus Bosch. Bosch Parade is unique in the world, in terms of set-up and appearance. 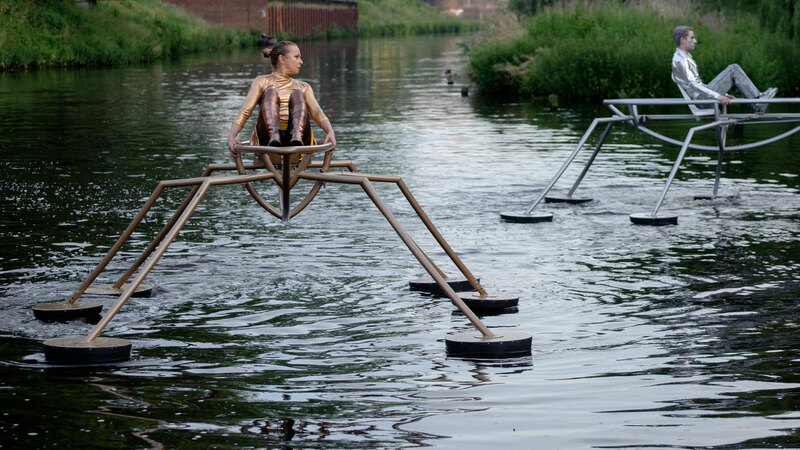 Bosch Parade is a theatrical and musical art spectacle on water inspired by the works of Jheronimus Bosch (1450-1516). His world-famous artwork is loaded with symbolism, fantasies and absurdities, inspiring people to this day. 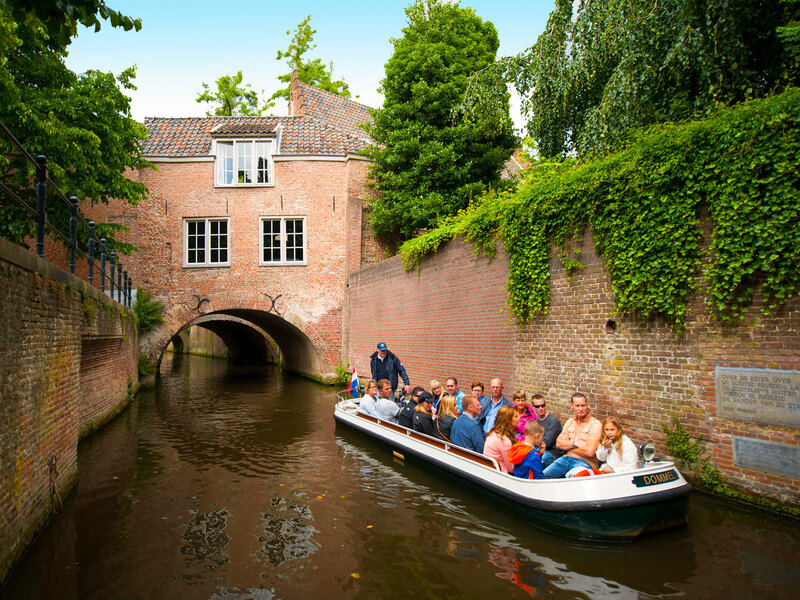 Bosch Parade has sailed the waters of ‘s-Hertogenbosch seven times in the past few years. In 2016, over 20,000 spectators watched the three shows. Just like Jheronimus Bosch in his time, Bosch Parade too explores boundaries and moves away from the beaten tracks, so as to give new impulses to our cultural environment. The Bosch Parade 2019 edition can be seen as a story in motion, presented on 14 separate tableaux. They shape a universal tale of power and counterforce, battle and rapprochement, chaos and hope. From the chaos after the battle a new order shall emerge. Eventually, old opposites will build the basis for a new hope in this storyline that is filled with symbolism and fantasy – as it is with Jheronimus Bosch’s works. 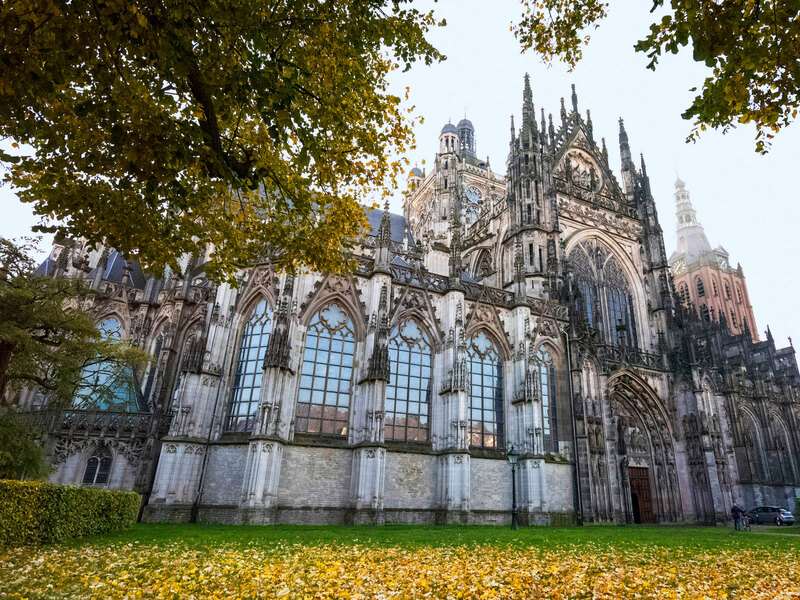 Bosch Parade 2019 honours Jheronimus Bosch as a storyteller and inspiration. His paintings bring us mysterious picture stories in which he illustrates his time, in a typical and unconventional manner. Jheronimus Bosch was also the very first genre painter: he acknowledged common people by giving them a full role in his paintings. In Bosch Parade 2019, these common people will demand their place once more. Bosch Parade wants to mobilise professional art to connect, inspire and surprise people, just like Jheronimus Bosch did 500 years ago – and still does. In this way, we enable all our spectators to perceive their surroundings as contemporary ‘Jheronimusses’, thus slightly transforming our world into a more authentic and social place to be. The building blocks for the Bosch Parade ‘DNA’ are: originality, craftsmanship and power of expression. Let us elaborate on this for a moment. 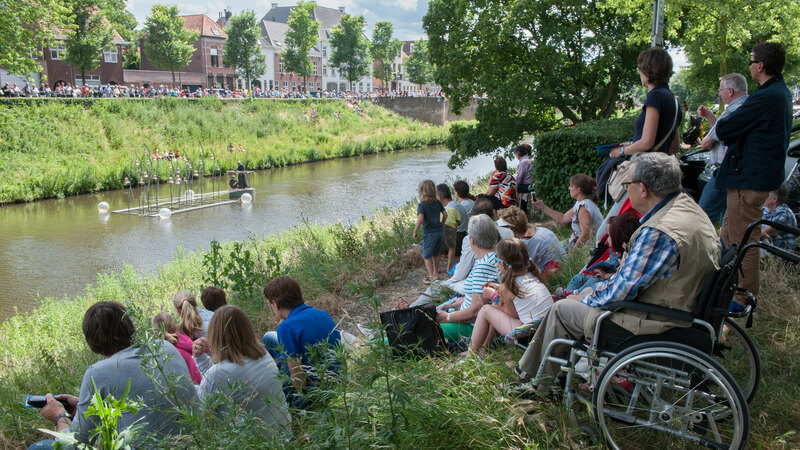 Bosch Parade delivers fresh, surprising and contemporary works of art upholding very high artistic standards, supported and carried out by the people of ‘s-Hertogenbosch, the province of North Brabant and civil society. The unique and very recognisable artistic signature of Bosch Parade is established by displaying works of art on water in the shape of a sailing parade, using the works of late medieval artist Jheronimus Bosch as an inspiration. 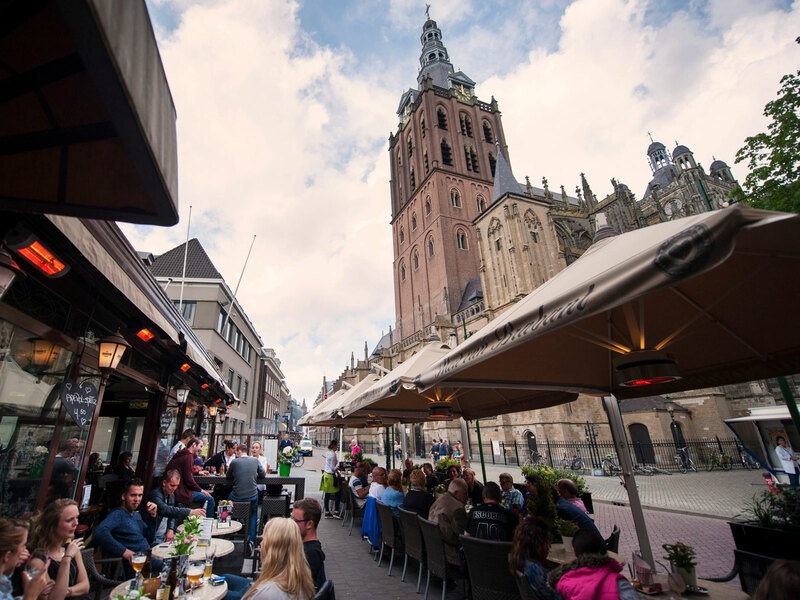 Furthermore, Bosch Parade is made possible thanks to its multidisciplinary attitude – and the close collaboration with the city of ‘s-Hertogenbosch and its inhabitants. Bosch Parade aims at delivering top quality to make this recurring event a success. The program is entirely developed by professional artists in various disciplines and carried out under their close supervision. Several new artistic layers are added, by working within a collective and by appointing a renowned artist to support the realisation of the entire concept. Through dialogue, the work surpasses individuality, yet respecting each individual’s signature and artistic freedom during performance. The impact of pieces of art on water is immense. Thousands of spectators, regardless of their age, education or nationality are touched by the contemporary art floating by through the fabulous scene of this medieval town. The mere fact that so many amateur performers and volunteers are active in Bosch Parade makes it a memorable event, and a fond memory for our visitors, for years to come. Up until the year 2016, Bosch Parade worked with open artistic applications, forged into a harmonious whole by artistic leader Miesjel van Gerwen. During the realisation of Bosch Parade 2019, the starting point is a new overall concept, so as to have more impact on the audiences. This overall concept lies in the hands of a group of professionals brought together by artistic leader Miesjel van Gerwen. They’ve been selected on the basis of their complementary characteristics, the various disciplines they represent and their clear match with the Bosch Parade artistic ‘DNA’ in the way they work and perform. Bosch Parade values the artistic freedom of professional artists. That is why the responsibility for the overall concept rests upon a newly formed group of professionals. The Bosch Parade company consists of Miesjel van Gerwen, Monique Zijp, Lucas Kastelijn, Loes Reiling, Erik Vink, Martijn van Dalen and Jeroen Everaert. They construct the overall concept and create the Bosch Parade 2019 edition together with other creative spirits, creators and volunteers. Yet, the artists’ input remains highly divers, making Bosch Parade characteristically colourful. The separate components do nonetheless fit within a single uniting storyline, forged together by music, direction and play. Jos van de Wouw (chair): lawyer for VANDEWOUW Zakelijke Advocatuur – a business law firm. Peter Ketelaars (treasurer): member of the executive board of Waterschap Aa en Maas – the regional water authority. Cassandra Vugts (member of the board): managing director of the SPARK Campus. Lieke Hooft van Huysduynen (member of the board): managing director of the Koning Willem I College – the Academy for Media, Art & Performance. Peke Hofman (member of the board): publisher, curator, former director of the CBK – the art centre of ‘s-Hertogenbosch. Stichting Bosch Parade has delegated daily management to the artistic leader and the business manager. 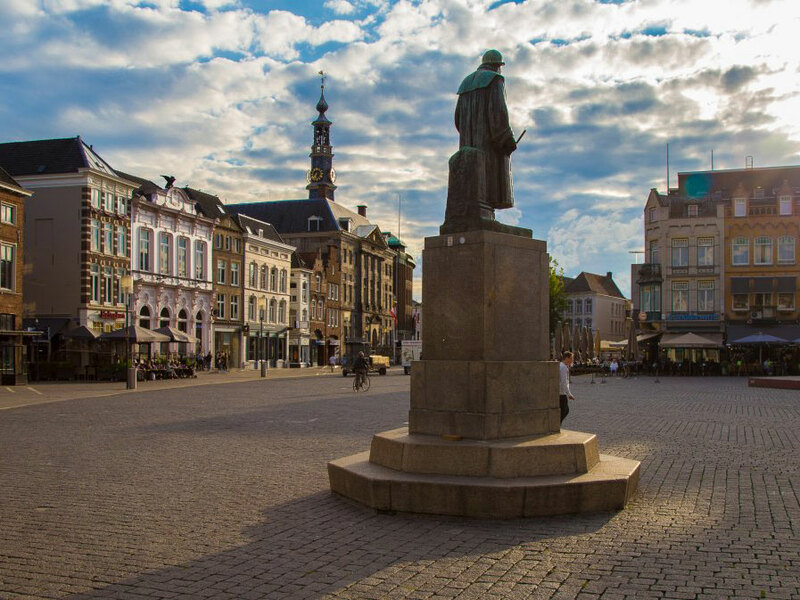 Bosch Parade has a Recommending Committee consisting of socially engaged people with a formidable track record in society (and the town of ‘s-Hertogenbosch). They hold Bosch Parade very dear. “Bosch Parade is one of the pearls in the legacy of the Jheronimus Bosch Year 2016,” says Ton Rombouts – former mayor of ‘s-Hertogenbosch. The Recommending Committee has an important advocating role within the city and the province. The Committee also advises general management and the management team in any topical issue. Ton Rombouts, Senator for the Dutch House of Lords and former mayor of ‘s-Hertogenbosch. Charles de Mooij, general director of the Noord-Brabants Museum.